Google has done it again and released another powerhouse. Just this morning the Mountain View based company announced that they have officially launched its Google eBookstore. 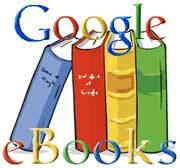 The Google eBookstore has the world’s largest library of titles. There are over 3 million titles to choose from. Originally thought to be called Google Editions, looks like Google is currently going with Google eBooks instead. The basic idea behind Google eBooks is the ability to view and access any book, from any device that has a browser. Google wanted to make the book store accessible for all platforms and devices, with an emphasis on mobile devices. Books will come in either ePub or PDF format. To make that possible Google is releasing a Google eBooks Reader app for both Android and Apple’s iOS devices. The Android app is available on the Android Market, phones running Android 2.1 or higher can download it now. The iOS version is expected to be released very soon. Google eBooks is also compatible with any dedicated eBook reader like the Nook and Sony Reader. Your eBook library will be tied to your Google account, where all your titles will be stored online, and Google is currently allowing unlimited cloud storage. You will be able to access your library just as you would access a message in Gmail or photo on Picasa. As of now all major publishers have signed on, Google says they have over 4000 publisher partners as of today, with that number growing in time. Out of the 3 million available books, over 2 million are free to read, with thousands available for purchase through Google or one of their independent bookseller partners. The large number of available books is thanks to Google digitization project called Google Books, which was started back in 2004. To date Google has scanned over 15 million books from over 35,000 publishers. Google hopes to take a huge chunk of the projected 1 billion dollar eBook market, which is currently dominated by Amazon, Barnes and Noble, and Apple. You can check out the new Google eBookstore now. How about porting to the blackberry or kindle? why have those been left out?